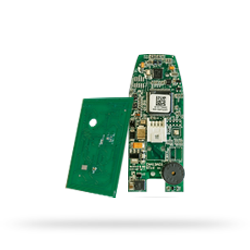 RFID, NFC and IoT tracking applications help industry players to collect and process vital data for effective business management. Industries, especially heavy industries and high added-value sectors, are required to use tracking solutions that provide total visibility of their processes and supply chain. 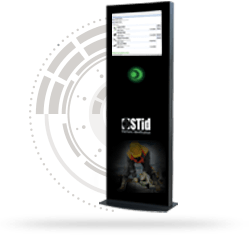 STid specializes in vertical markets working in extreme environments and provides manufacturers with dedicated solutions for real-time identification (fixed, mobile or conveyor), overall tracking and process supervision applications. 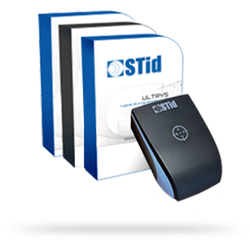 STid offers RFID tracking solutions for general logistics applications for aerospace subcontractors. 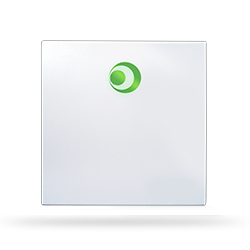 Optimizing tool management is essential to preventing FODs and improving productivity. Our RFID solutions (fixed or mobile readers) can be used throughout the production chain and for all maintenance operations in the aerospace industry. Users can identify and track each tool and piece of equipment onsite or remotely (incoming/outgoing flows, inventories, etc.). Healthcare professionals, hospitals and industrial and research laboratories are legally responsible for managing and disposing of their own RMW (Regulated Medical Waste). 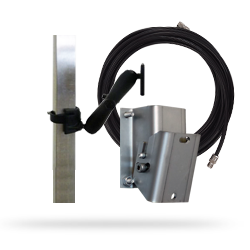 STid offers a range of UHF readers and tags specially designed to be integrated into RMW collection containers. The goal is to optimize the entire RMW collection chain and adopt a full-scale approach to facilitate compliance with regulations while helping prevent this type of waste from being lost and related incidents. These solutions have also been developed to track blood bags, organ transplant containers and prosthetics. 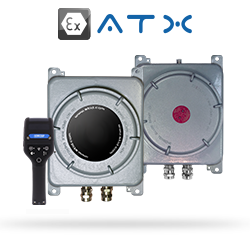 The tag can save data such as incoming / outgoing flows, uses, maintenance operations, etc. Mobile equipment (tools, forklifts, safety equipment, etc.) used in mines are often incorrectly put away or lost during shift changes. 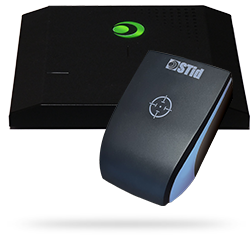 STid offers a solution based on a network of RFID readers installed in the mine to track and monitor mobile tools and equipment. 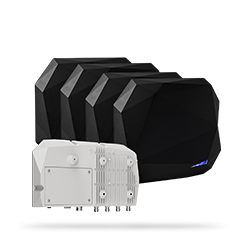 Users can quickly locate assets and reduce equipment losses. This type of use can also be applied to production areas in explosive environments. 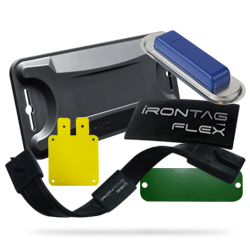 STid has developed solutions for identifying and authenticating materials, parts, equipment, containers, tools and high-value assets using robust tags (IronTag®) which can withstand extreme conditions (high temperature and pressure variations, liquids, etc.). 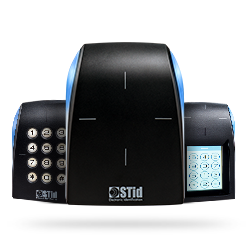 Operators no longer need to manually enter reference numbers on paper or computer. 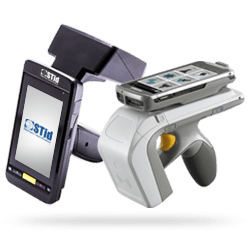 Assets are simply identified via a fixed, mobile or gate RFID reader. 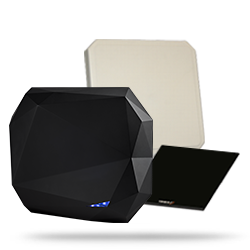 secured supply chain between suppliers, manufacturers, garages and dealers. RFID, NFC, Bluetooth®, M2M and IoT technologies facilitate vehicle fleet management. They optimize vehicle use through increased real-time tracking of vehicle locations, status and diagnostics. STid provides reliable identification of vehicles during storage and transit operations. RFID technologies provide an effective solution for identifying and tracking passenger and freight trains. STid offers high-speed contactless identification technology that can be used to identify trains, railway cars and locomotives parked in stations or moving at speeds of up to 300 km/hr. They automatically provide location information, ensuring user safety, but also improve the information available on empty cars to optimize goods flows.